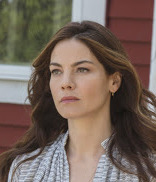 Michelle Monaghan is going from Hulu to Netflix. The True Detective grad who recently wrapped the third and final season of Hulu's The Path, has been cast as the female lead of Netflix drama series Messiah. Messiah is a 21st century political thriller that chronicles the world’s reaction to a man who emerges from the Middle East creating a groundswell of followers who claim he is sent from God. Is he what they say he is or is he a dangerous fraud bent on dismantling the world’s geopolitical order, causing civil havoc as he beguiles the world’s media and its audience? The answer to that question, unfolds across ten episodes told from multiple character viewpoints (including a U.S. intelligence agent, a Palestinian refugee, an Israeli Shin Bet officer and a Latino preacher and his daughter.) At its core, Messiah is a series that challenges us to examine what we believe and who we are. Monaghan will play the series regular role of Eva Geller, a specialized U.S. intelligence officer who pits her wits and years of experience against Al-Masih (Tomer Sisley, We're the Millers), an incendiary religious-political figure who emerges out of Syria and whose influence is growing. Smart, tenacious and determined to prove she's right, Eva goes to the ends of the earth to prosecute the allusive figure while running headlong into the truth about her own moral convictions.